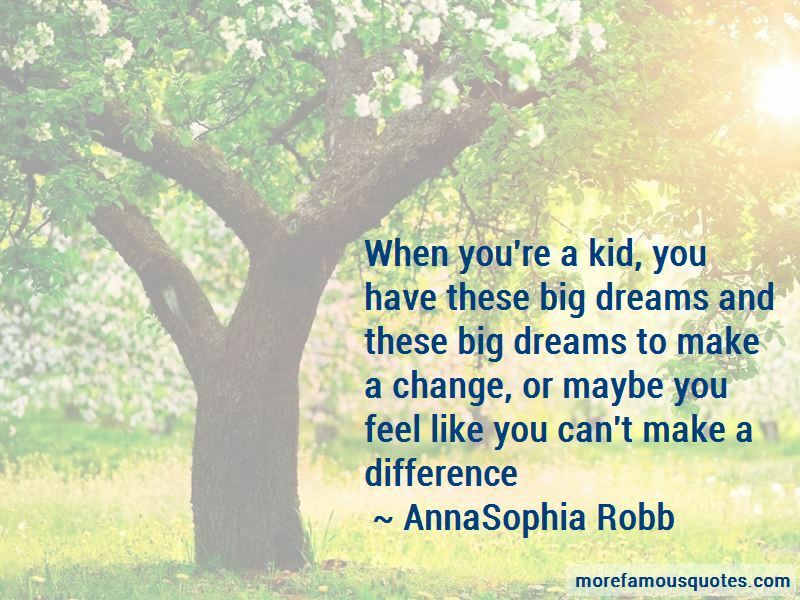 Enjoy the top 21 famous quotes, sayings and quotations by AnnaSophia Robb. When I'm at home or at school, I'm casual and comfortable. I tend to wear work out clothes and lots of sweaters. If you act weird, people are going to treat you weird, but if you're just yourself, people respond to that. Surfing is something I just crave. I think I was made to live in New York. I love it. I think you can go to school at any age. Perfection is impossible. Trying to do your best is important, but loving yourself and loving others should come first. You can keep your mind open and use your imagination and be creative even when you're older. For kids, I definitely think keeping your mind open and using your imagination and being able to play pretend and that it's okay. 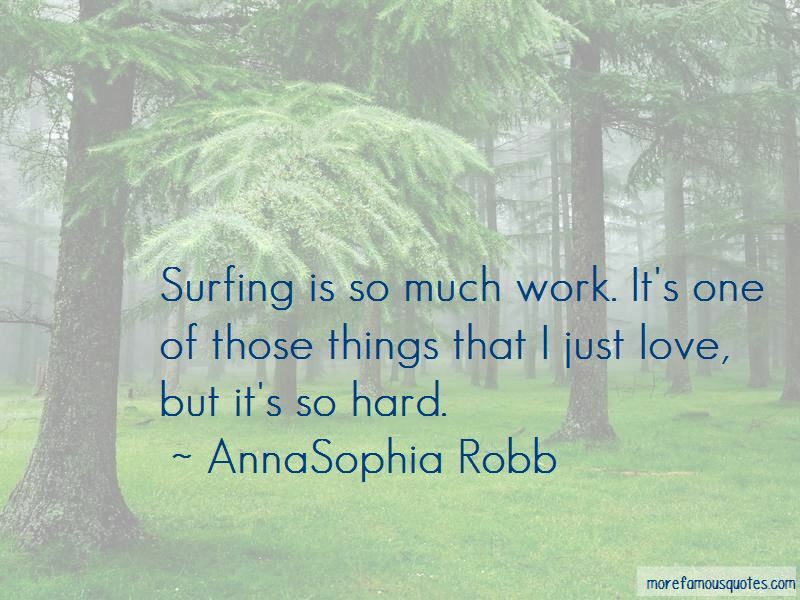 I love the ocean and have a passion for surfing, even though I'm not very good at it. I like getting out there and paddling around. 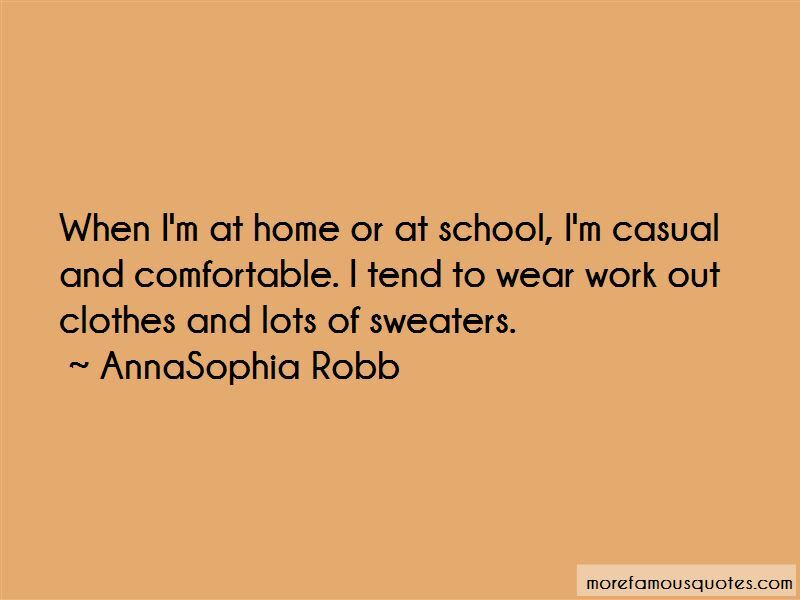 Want to see more pictures of AnnaSophia Robb quotes? 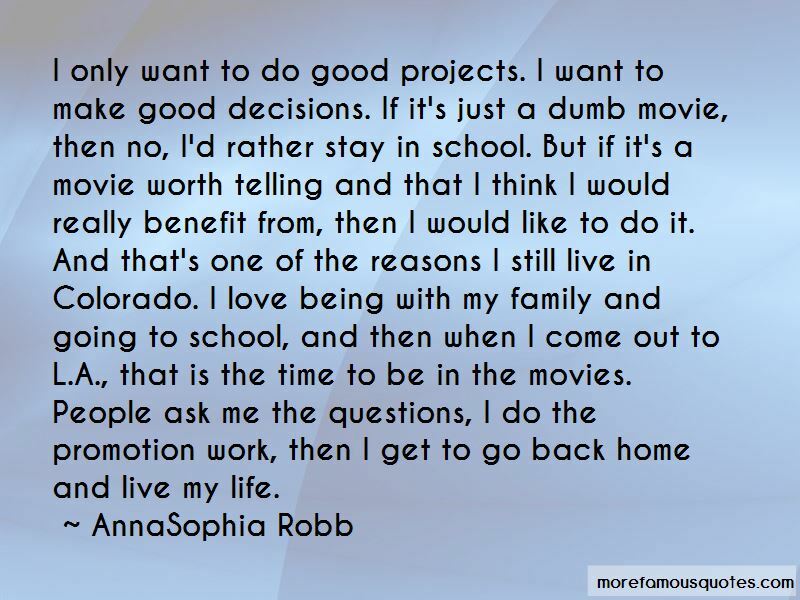 Click on image of AnnaSophia Robb quotes to view full size.